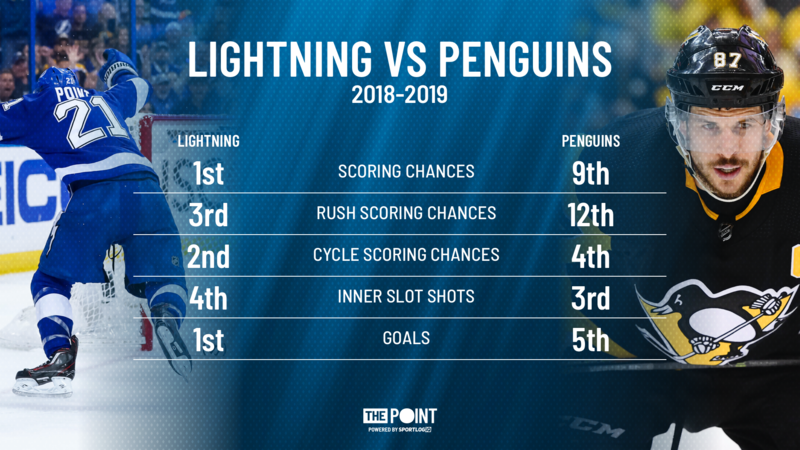 Point Shot: What Pittsburgh has to do to slow down Tampa Bay Lightning's high-powered offense - The Point Data-driven hockey storytelling that gets right to the point. Two high-octane offensive clubs go head-to-head tonight when the Tampa Bay Lightning take on the Pittsburgh Penguins. The Bolts have scored more goals than any other team this year but they’re followed closely by the Pens who have the fifth most. Both teams have versatile attacks that can make you pay in many different ways. Clearly, the Lightning have an edge here and the Pens will need to find ways to slow down the Bolts offense which will be easier said than done. So, how do the Pens do that? They focus on one of their weakest areas. Pittsburgh gives up the most odd-man rushes in the league and the most controlled entries in the league. 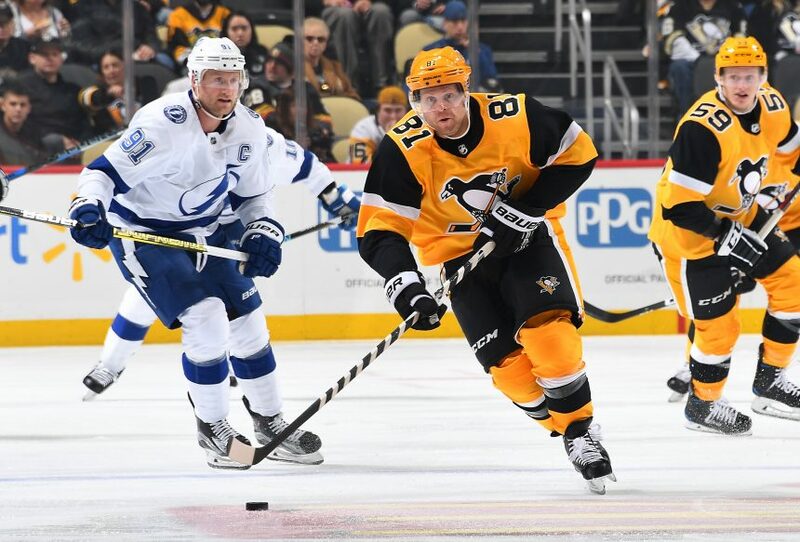 Giving the Lightning time and space to come across their blue line with numbers will be a recipe for disaster for the Pens. As you can see from those goals, if you aren’t forcing dump-ins and making it difficult for Tampa to enter with speed they’re going to make you look silly. That’s not to say that a strong blue-line is going to negate all their offense but it does take away a big part of it and one that Pittsburgh has not been very strong at denying this year. This game has the potential to become a shootout but that would not be good for Pittsburgh who should be looking to cut down the Lightning’s speed and force them into turnovers. Tampa Bay’s given up the 6th most turnovers this year and if Pittsburgh can take advantage of them, they could get a big rebound win after their loss to the Devils Monday night.